Bob has recently been in touch with an enquiry. I know I am clutching at straws but here goes! In the early '60s my friend and I used to travel from Leicester to Grantham trainspotting. They are fondly remembered days. We used to walk to a road bridge, climb up the slope at the side and sit on the fence at the top. The sheds were close by on our left with the main line in front. I think the road was the route through Grantham to the east coast. Is it possible that one of your members may have a photo showing either the bridge with a loco beyond or above, or maybe a picture of spotters at the location? 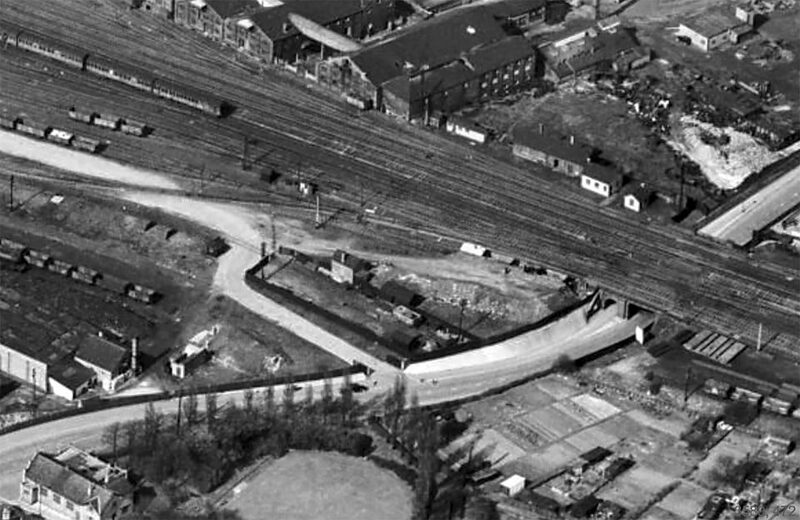 Exchanging a few emails, and with clues picked up from Mike Bacon's page in Spotters' Corner, we worked out that the bridge over Springfield Road was a perfect match. Bob kindly filled in a little more background, and we had the nucleus of our latest page: How we discovered Springfield Road Bridge. One of the pleasures of developing the content of Tracks through Grantham is that sometimes we don't know where the material for our next new page is going to come from ... but we can be sure that something will always show up! So if you have a memory or a query and have been thinking about sending it, don't hold back any longer!